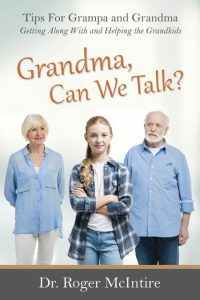 From eating problems to cell phones and from social problems to the swirl of violence and sexual suggestions in a teenager’s television and computer, this book is a treasure of practical advice for Mom when she is challenged to keep a steady disposition, manage fair discipline, enjoy the job and stay lovingly close to her teenager. What should you say to your kids at supper? How should you react to their less thoughtful remarks? Chapter 1 of Staying Cool and In Control begins with examples and guidance in these conversations. Chapter 2 proceeds to problems at home and school. In the chapters that follow, Dr. McIntire offers solutions to dealing with bad language and bad habits and to providing the discipline that is often required. Vignettes, dialogues and examples in every chapter illustrate the way family relationships develop. How will your children hear your message that you like them as well as love them? 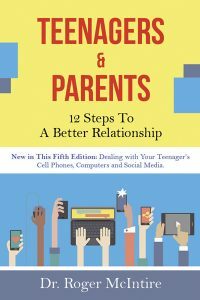 “Outstanding.” – Parent Council, Ltd.
“[McIntire] learned his lessons well and passes along his knowledge in a lively and readable book…filled with practical answers for all the common problems.” – Bookviews. 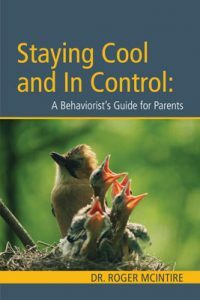 “These are the habits parents need for confidence and the ones that can help in moments of trouble.” – Dr. Donald Pumroy, Founder of Assn for Behavior Change; Prof. Emeritus, Univ. of MD.